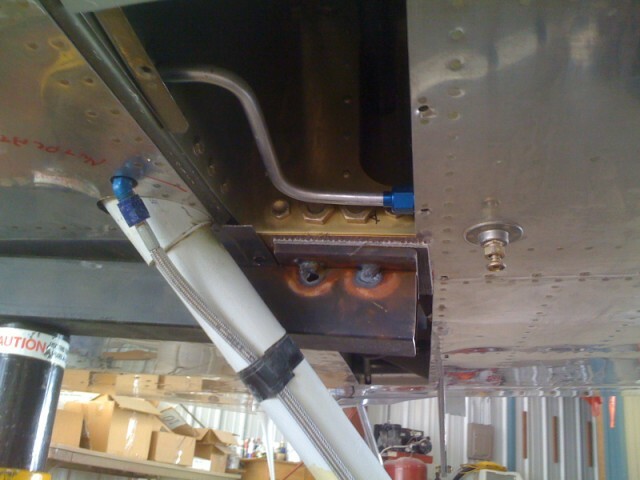 I was not a fan of jacking the plane up by using a jack under the wing at the tie down area. We had a set of wing jacks that were used on Baron that used to be in the hangar. Since they weren't being used, they became jacks for the RV10. I took a 3" square tube and welded a 4" pad on top of the tube at each end. 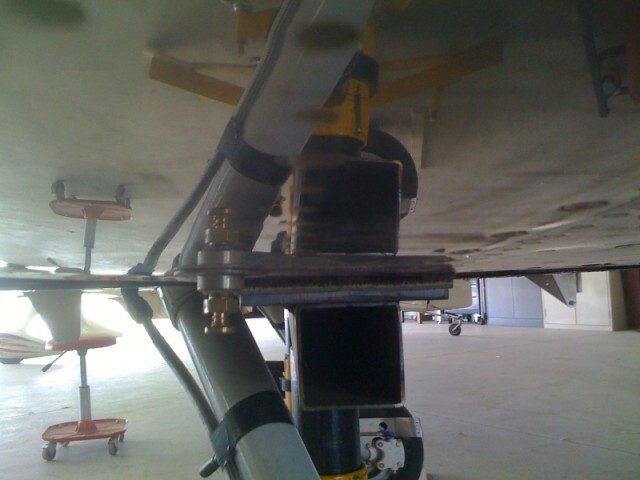 The tube measurement equaled the distance between the wing spar attachment at the wing root. A 4" carpet scrap was glued to the 4" pad. 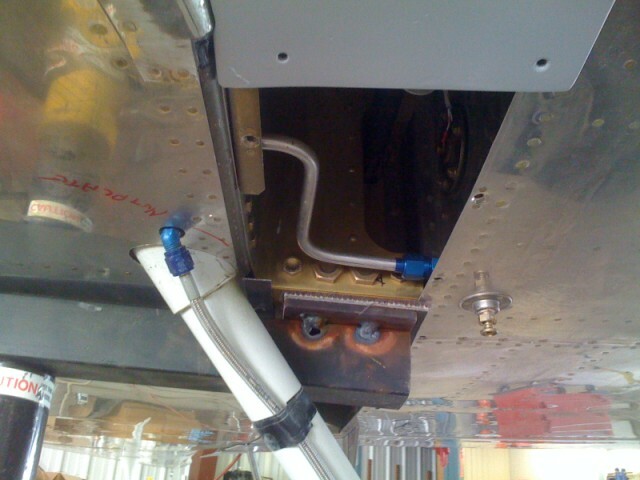 The lower wing root inspection panel was removed to expose the wing spar. 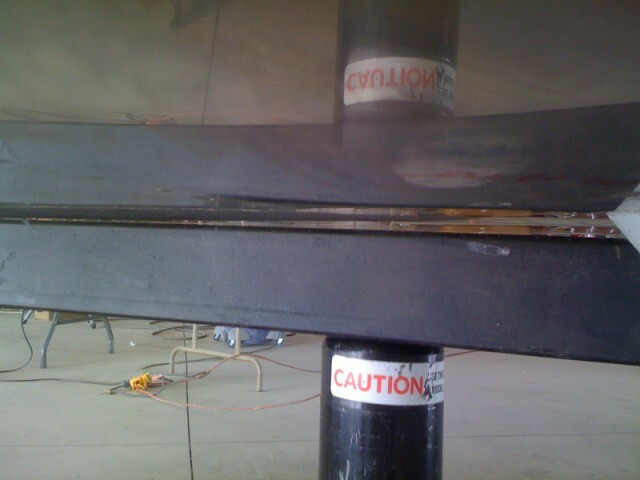 The jack stands were placed under each spar and the tube was placed on top of the jacks. Jacking both jacks at the same time allowed the airplane to be raised up enough to bring both main landing gear off the ground. 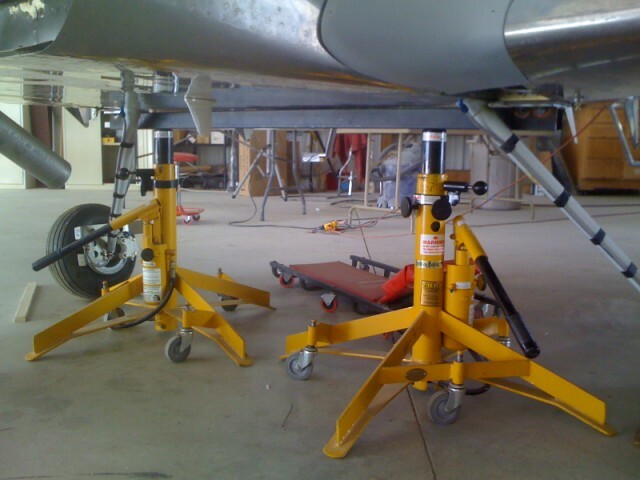 I similar jack stand could be made by purchasing a set of jacks at Harbor Freight Tools.